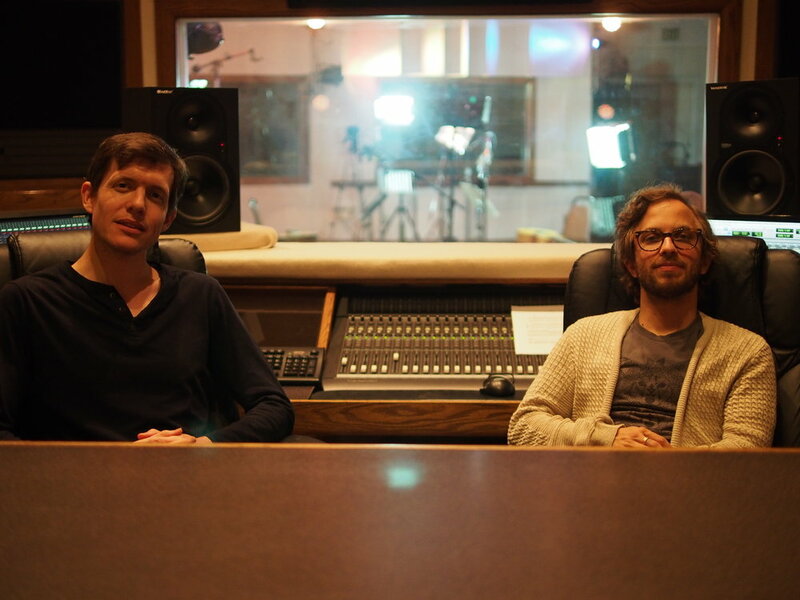 Jake Hertzog and Yishai Fisher are now available for tour dates in 2018/19 and masterclasses and workshops at colleges and conservatories. 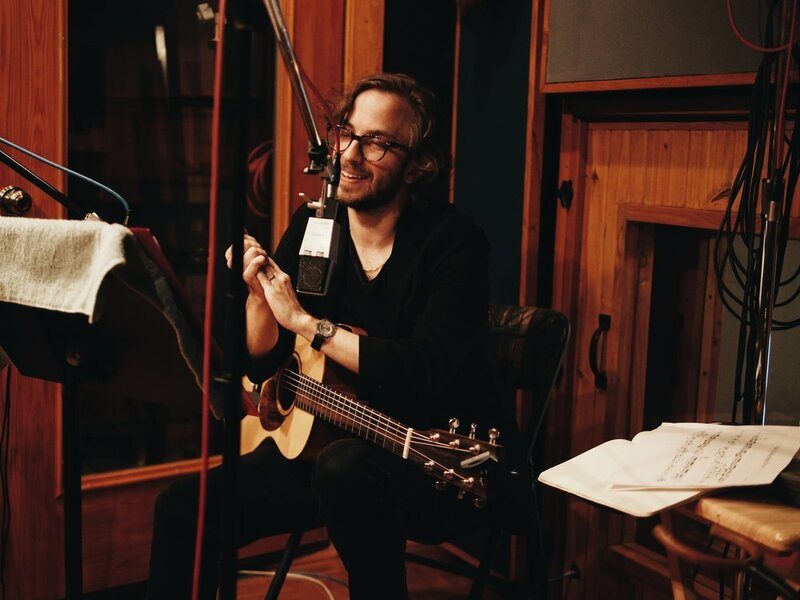 Jake has a very personal, post-modern harmonic conception, and there is a very palpable, discernible, almost classically inflected acoustic-electric quality (like Bill Frisell and Julian Bream meet Arnold Schoenberg) which makes his compositions and variations very centered and acoustically engaging. Jake Hertzog is one of the most gifted, disciplined and original of a new generation of young guitarists coming on fast. 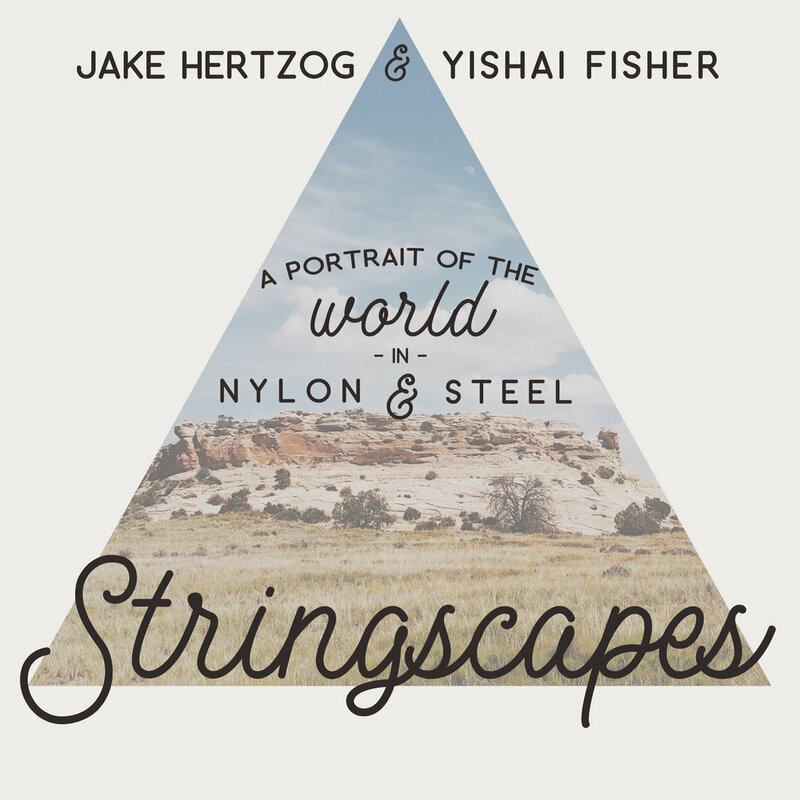 Stringscapes is a four suite composition for two guitars inspired by and dedicated to expressing major biomes on our planet. Each suite contains three movements highlighting distinct features of the landscapes and the worlds within worlds they create. 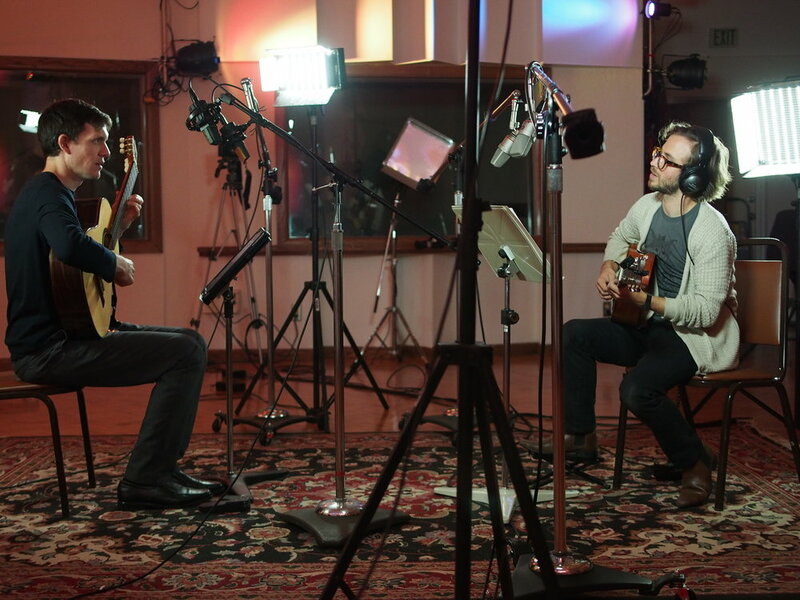 The composition utilizes two types of contemporary guitars, the steel string and the nylon string as well as the various techniques common to each instrument, to broaden the sonic possibilities of duo performance. The four landscapes contained in this work are: Forests, The Arctic, The Oceans and The Desert. Forest I: Endless Trees - Inspired by the woodlands of the Ozark mountains this piece is a visualization of incredibly dense woodlands and the active wildlife found within. The main repeating motif resembles looking through trees only to see more trees, leaves and branches. Forest II: Funeral In Green - A dirge for the dying forests of our planet that we have taken for granted and are systematically destroying for farmland, cities, and lumber. Its harmonies reflect this haunting loss. Forest III: Leaves In The Dark - The jungle at night is a scary place and this piece represents the many creatures that are active in tropical rainforests in the after hours. Insects, birds, monkeys, frogs and so many animals come alive in this environment and the soundscapes they create are symphonic. Arctic I: Stone Blue Veil - Inspired by the colors and textures of glaciers and ice, this piece imagines an up-close view of these walls of ice, their motion and how they melt. The caving process is represented here with falling columns of notes. Arctic II: The Great White Space - Out on the open plains of the arctic where nothing can be seen except snow and ice is an extremely lonely place. This piece presents one long, lonely melody, slightly echoed as Ornette Coleman might have arranged it. We get disoriented in such a desolate landscape and there is something disorienting about this piece as well. Arctic III: Cold Life - Here we have a short vignettes reflecting some of the common arctic animals. They are (in order): Seals, Fox, Seagulls, Whales, Wolves, Eagles, and the reprise of the seal. This piece is imagined as if you had a camera watching and panning between creatures, each with their own soundtrack. Oceans I: Cascade - This piece is a jazz and flamenco inflected meditation on crashing waves and moving water. Rivers, waterfalls, and rushing currents inspired the urgency and chaos of this movement. Oceans II: The Deep - A very literal piece, this music imagines a journey from the deepest, darkest places on the ocean floor to the surface in a slow submarine, passing animals and plants along the way. Its final cadence echoes this forbidden world that we know so little about, and what secrets of life we have yet to learn from it. Oceans III: Tides - Representing high and low tide, this piece contrasts moving harmony with static, modal simplicity. The way our tide cycles determine our biorhythms is fascinating and is reflected in this piece. Desert I: Dream Catcher - Some desert cultures include moments of spiritual visions, and this disjointed piece represents an alice-in-wonderland type journey through visions of tranquility and chaos. The only improvisation in the entire work is contained in this movement, on the steel string guitar. Desert II: Ghost of The Mine - The deserts of the american west bear scars of our quest for minerals and these abandoned structures have so many secrets to tell about the people who lived and worked in them. This piece imagines the feeling of walking inside an old mine and not feeling completely alone. Desert III: Where The Red Sand Lives - A piece about being in motion, coming around a bend or over a hill and seeing a vast expanse of plateaus and rock formations such as the southern area of Utah. The triumphant ending melody showcases the unique strumming techniques of the guitar and imagines looking out over this completely unique corner of the earth.